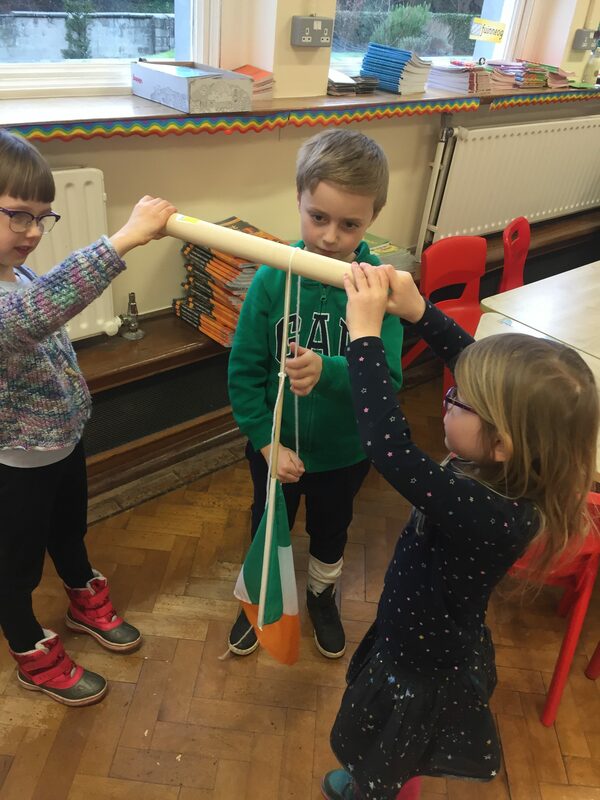 In First Class we are learning about simple machines we use, to make everyday life easier. 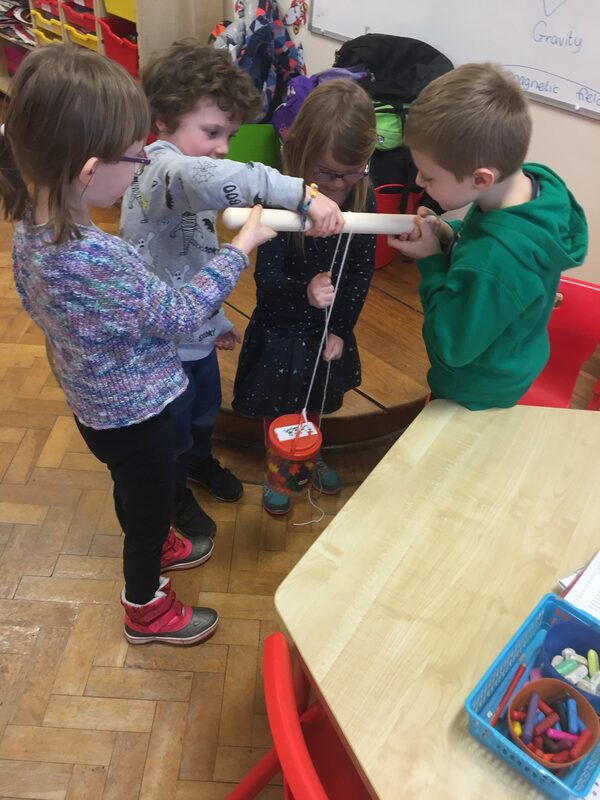 To start off our investigation we are learning all about pulleys. We first of all looked at a simple video of how a pulley worked and had a short discussion about Pulleys in our lives. 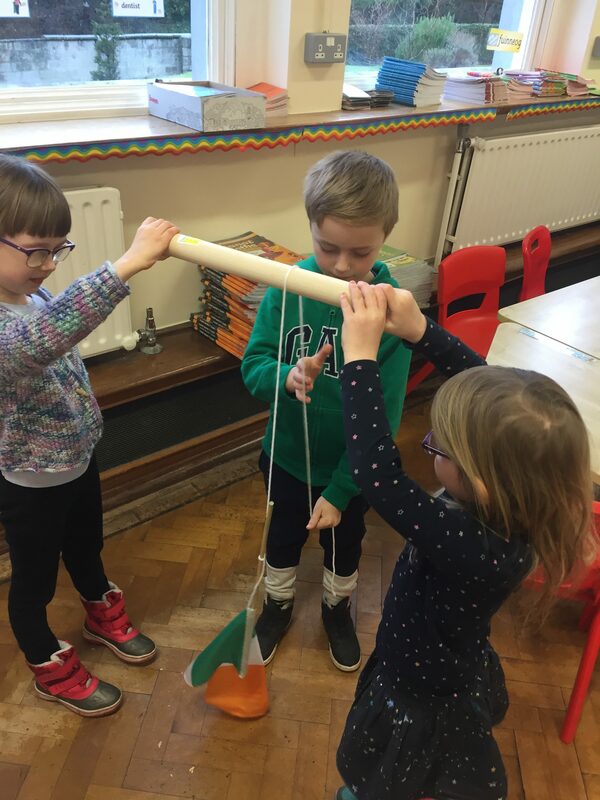 We decided that cranes work the same as a pulley and some other everyday pulleys include flag-posts, boat and masts, wells and building sites. a string to attach to the item you wish to be pulled. 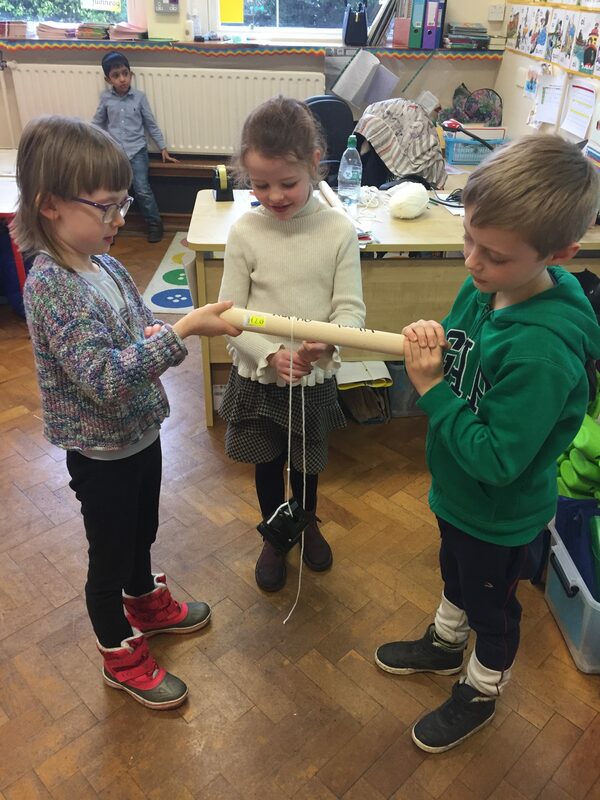 There were lots of things with a curved edge and a cylinder shape that we could use and we chose a rolling pin and an empty spool of thread. 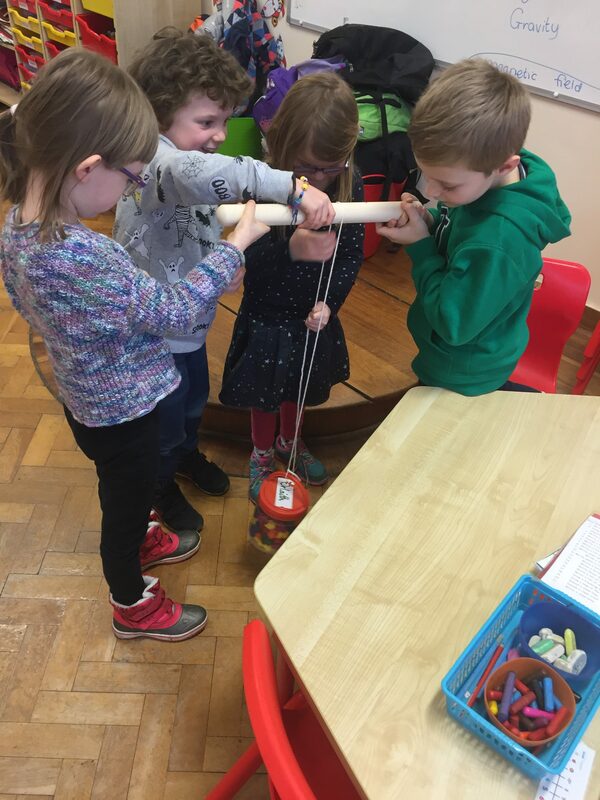 We then attached items of different weights to be raised up by the pulley. 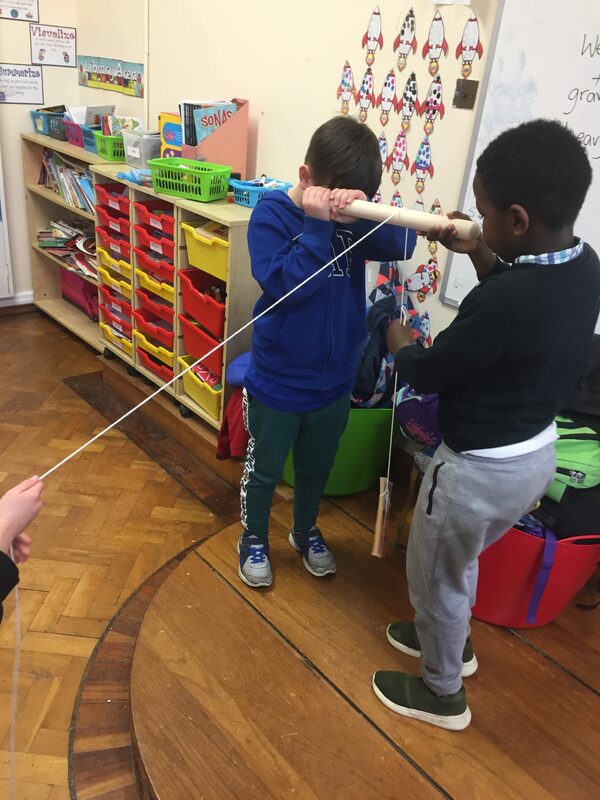 Some of the things to learn about during this experiment were gravity and pulleys using a fixed and movable pulley. One of the best things about this experiment is that this is an old invention still in use today. It was fun to learn about how things in our great grandparents time were used and how the same is in use today, many years later. 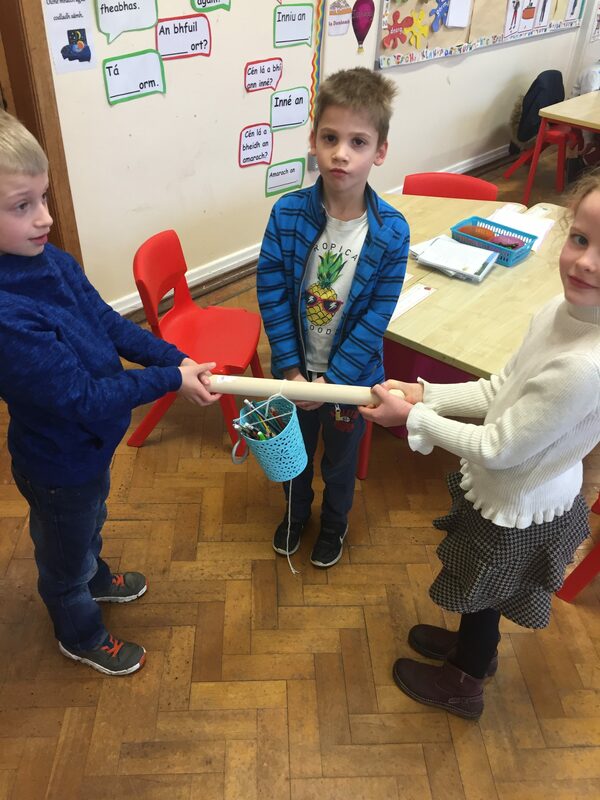 This was the biggest challenge, a heavy bucket which we had to stabilize so none of the pencils would fall out. 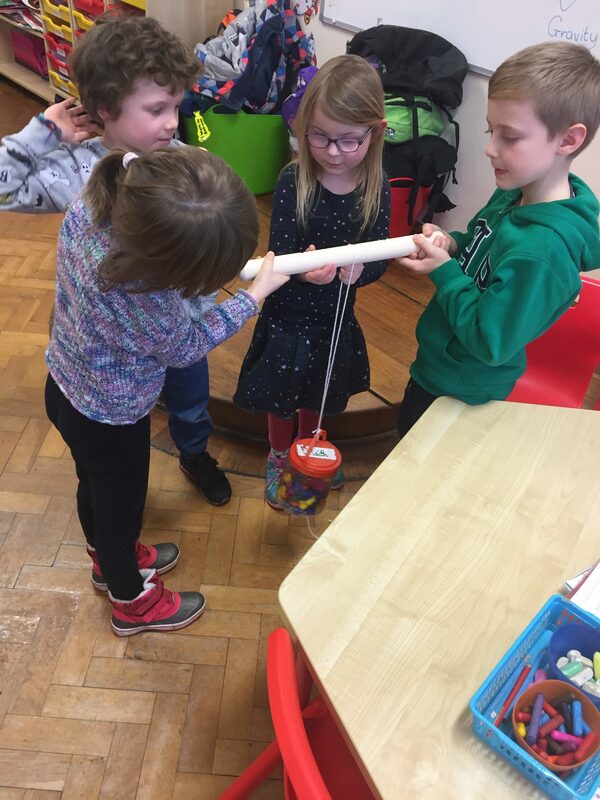 We learned about balance and where the best place to hook the string to the item would be. 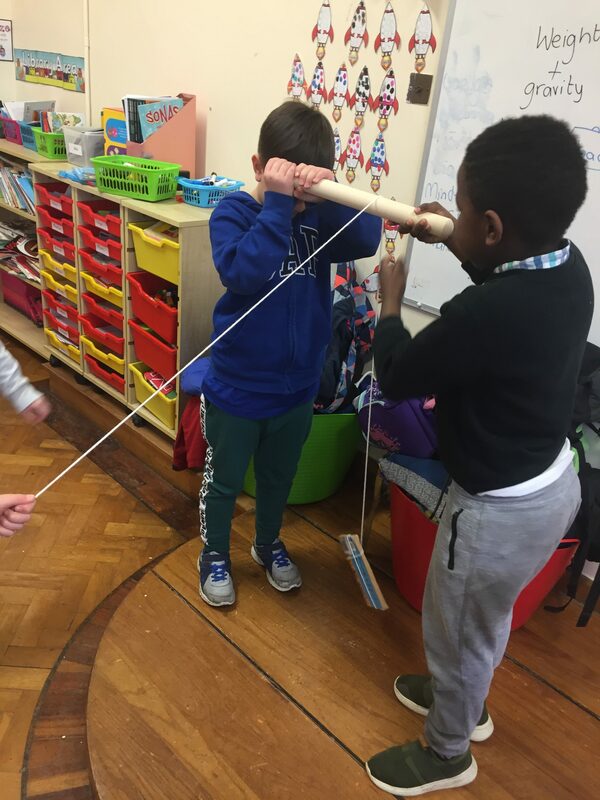 We had to pull the weight steadily so the pencils wouldn’t fall out. This was loads of fun.